Revenge: Best when Served Healthy | NFL News, as it happens, when it happens. Your one stop shop. On Sunday September 27th, the New England Patriots defeated the Jacksonville Jaguars 51-17, in what can be considered an unmitigated blow out. 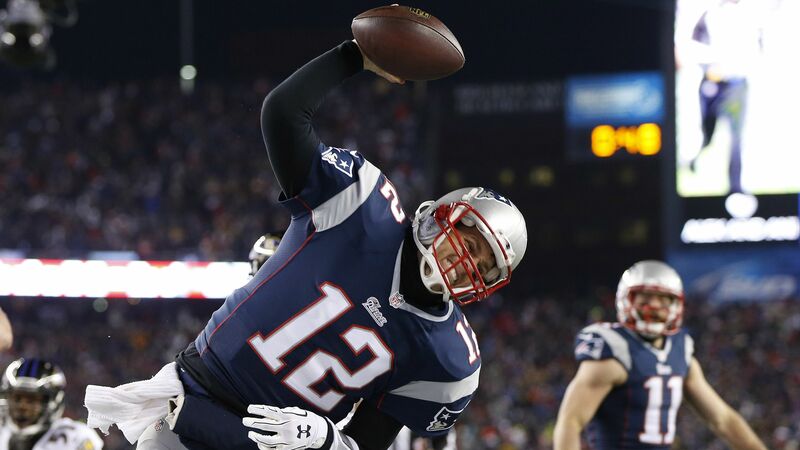 Quarterback Tom Brady showed that even at the age of 38 he can do what most young gunslingers can only dream about. Brady amassed a respectable 358 passing yards with a passer rating of 119.6, at the age of 38 that is ridiculously impressive, even against a team as lowly as the Jacksonville Jaguars. In fact even when the game was well in hand and there was absolutely no chance of a Jaguar uprising, Tom Brady, the Patriot’s star quarterback and face of the franchise, remained in the game. Recently, a rash of injuries have befallen a number of the league’s franchise quarterbacks. Dallas’ Tony Romo, Chicago’s Jay Cutler, New Orleans’ Drew Brees, Cleveland’s Josh McCown and most recently Pittsburgh’s Ben Roethlisberger have all missed or are missing considerable time under center due to on the field injuries. The 2015 season now more than ever has shown that despite the many rules placed to keep the teams chief signal callers out of harm’s way they just aren’t enough to guarantee the safety of all those under center. A great deal of the a fore mentioned Quarterbacks are over the age of 30 years old and it’s safe to say their ability to bounce back from injury is not what it once was. So, with all these injuries plaguing quarterbacks one must ask, why in the blue hell was Tom Brady allowed to finish a game that was decided by the end of the first half? Tom Brady is not new to the overall consequence an injury can deliver to one’s season. New England fans remember the beginning of the 2007-08 Patriot’s campaign very well as it led to what is affectionately known as the Matt Cassel era. That of course was the year that Tom Brady coming off of a record breaking 18-1 season was injured in the first quarter of a 17-10 victory over the Kansas City Chiefs, by then-Chiefs safety Bernard Pollard. It was an era that kept New England out of the playoffs and away from the AFC east divisional championship for the first time since 2002. It was something no fan or Brady himself wanted and it’s safe to say no New England fan ever wishes to see again as long as Brady can play. Coach Bill Belichick often expresses to his players that the game of football is a full sixty minutes. Belichick expects his players to give him and the team everything they have for the full sixty minutes with no excuses provided. Let’s be clear, in the game of football working as a unit is important, and each teammate should be expected to give the same amount of effort as the person next to them. Let’s take into consideration a few facts before we play the game of there is no “I” in team. Both Tight End Rob Gronkowski and Slot-Receiver Julian Edelman were taken out of the game early in order to keep them safe and undamaged. Super star Rob Gronkowski has had his share of injuries; there is absolutely no denying that, in fact it’s feasible the Patriot’s would be willing to place him in bubble wrap in order to preserve him for a possible Super Bowl run. Julian Edelman is a play maker, but someone with a history of injuries that can hamper the team’s overall productivity. The New England Patriots were wise to conserve two of their more prolific, game changing playmakers in Gronkowski and Edelman but what about their biggest game changer, Tom Brady? Many have said that Tom likes to set an example that Tom likes to play every down and every minute of every game. That may be true, as Tom Brady as known for being one of the more competitive people on the planet. When does pride step in the way of common sense? The answer to that question in this situation is abundantly clear; when the motive is REVENGE. Tom Brady never speaks about Spygate or has even uttered more than a few prepared statements about Deflategate. Tom Brady does his talking on the field and his last three games show a man who has never played better in his life. if you include last post season, Tom Brady has been virtually unstoppable. As wonderful and spectacular as Brady has been it is clear that he may in fact be his own biggest adversary. Tom Brady needs to see the forest through the trees and place revenge to the side. When the New England Patriots sat Edelman and Gronkowski on Sunday, the game was well in hand. The Jaguars were not going to rally back and defeat the reigning Super Bowl Champions. To be brutally honest, Tom Brady never should have been on the field in the fourth quarter. Fans clamoring for a repeat of 2007’s Scorched Earth tour need to remember that Tom was eight years younger and hadn’t yet suffered a season ending knee injury. The Jacksonville Jaguars are not this year’s Buffalo Bills, they weren’t going to take advantage of Patriot mistakes and rally themselves back into the game. The game was over, all the Patriots needed to do was allow backup Quarterback Jimmy Garappolo and LaGarrette Blount the opportunity to run the ball and allow time to slowly run out. This plan of course never came to fruition. Call it pride, call it revenge, or call it being accountable as the team’s franchise quarterback. In the end, the choice to stay in the game was daring and undoubtedly a risk not worth taking. This game was not played against the despised Indianapolis Colts, the slimy Baltimore Ravens or even the annoying New York Jets, this was just the pathetic, unimportant Jaguars. A Jacksonville team that did not need a message sent to them about how angry Tom Brady and the New England Patriots are about Deflategate. After spending an entire career doing what is good for the New England Patriots and their fans, Brady must recognize that staying healthy is what is right for both HE and the team. Besides, revenge is sweeter when you are actually there to administer the punishment.